So as you can see my lens was at 85mm (my 28-85mm zoom). 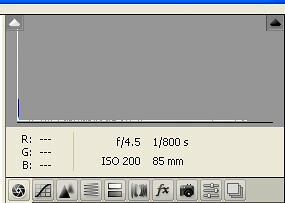 My shutter was 1/800s and my aperature was 4 and finally ISO was set at 200. I know these seem like crazy settings to be taking a photo in the middle of the night with so much 'black/darkness'. You would think the shutter would need to be down really low..but this is what worked for me! 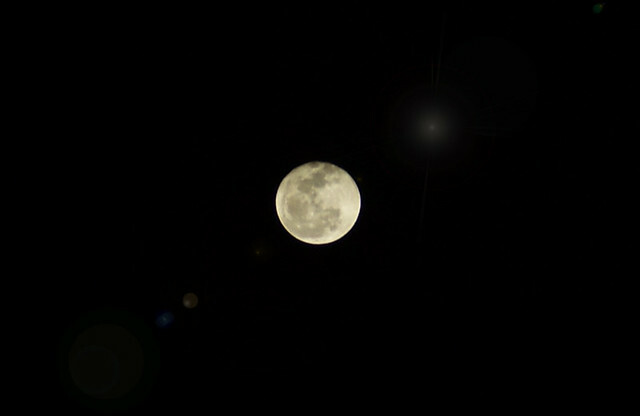 The moon is pretty bright when you're focusing directly on it which is why I had such a low ISO and high shutter speed. Now as you could imagine I was MUCH farther way from the moon when I opened it up in my Photoshop to edit. So I did a crop REALLY tight on the moon while still keeping it in proportion. Next I just used the burn tool with the hardness set down to about 30% and opacity turned down a smidge and painted over the detail in the moon itself to darken it a tad. Finally I added the flare you see there around the moon. To add a flare to any photo you simply go to Filter>Render>Lens Flare and then in that pop up window you play around with which flare you want and set the brightness higher or lower to suit. If you aren't satisfied with how light it is you can put it on it's own layer and further lower the opacity or can use a very soft black brush with a low opacity and paint over the flare a bit until it's 'dim' enough! I hope that helps and doesn't confuse anyone who asked about it! And if you take any moon shots feel free to leave me the link in the comment! I'd LOVE to see them! 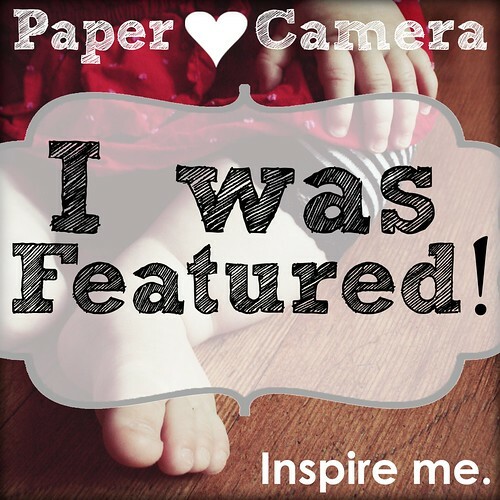 Also, I want to thank Chelsey at the Paper Heart Camera blog for featuring my photo from Touch Up Tuesday as one of her favs! I've never gotten a good moon shot. I'm going to have to try that! 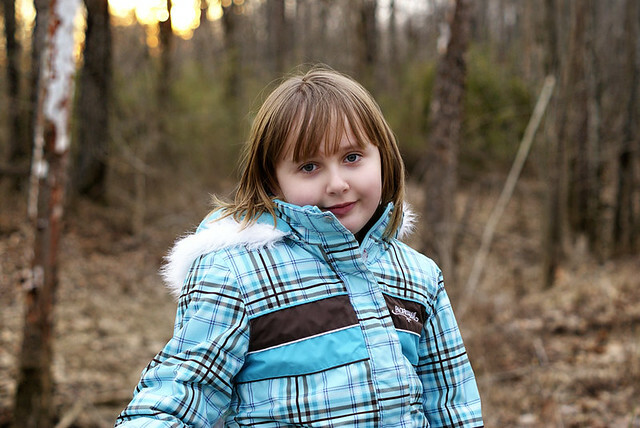 Thanks for sharing your tips and for stopping by my blog!